Johnston Boiler Company has been involved in the waste heat recovery business for over 40 years of it’s 150-year existence. 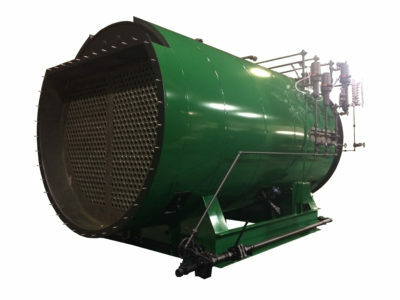 The growth of the cogeneration market as well as the continuing need for increased efficiency led to substantial interest in Johnston Boiler’s waste heat boilers. The waste heat units recover heat from gas turbines, gasoline or diesel engines, and other equipment that produce exhaust gases about 600°F. This recovered energy may be used to generate steam or to heat water or other heating fluids or plant and process requirements. Design innovations have been a Johnston trademark since 1864. Johnston is renowned for developments within the boiler industry. We have a long track record of adhering to the highest quality standards. Boilers must be dependable, and Johnston’s WHR series is no exception.